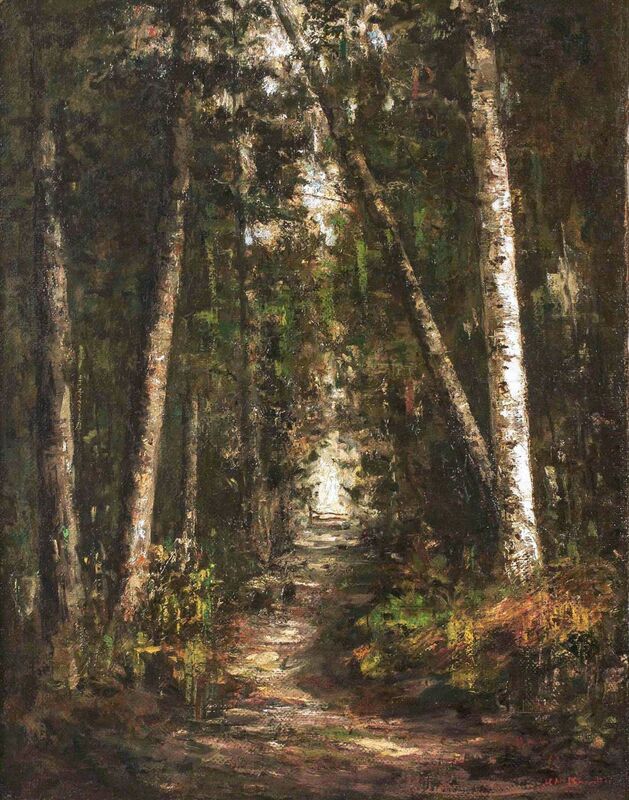 Forest Path ... places an emphasis on the effects of light as an element that interacts with and among natural forms. In the middle ground, the two roughly-rendered figures that traverse the woodland path offer context and scale to the lofty, cathedral-like enclosure of foliage. With judicious use of a subdued color palette, Knowlton uses highlights to suggest the cool air of the leafy enclosure and, with splashes of blue and pink, to hint at an expansive sky just beyond the vaulted ceiling of branches. 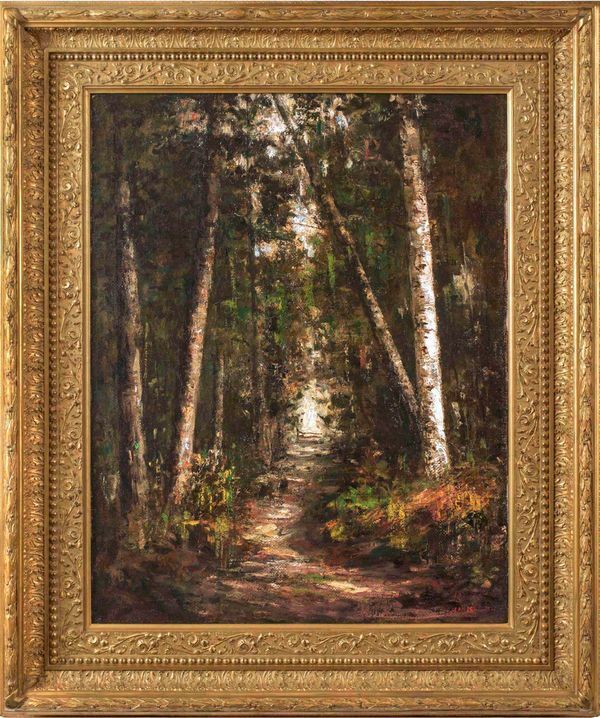 With a nod to the techniques of the Impressionist luminist painters and a subdued palette befitting of her teachers, Knowlton’s painterly execution of light and atmosphere offers more in the way of suggestion than overt representation.